What Is the Definition of Fat Soluble Vitamins? Two categories of vitamins exist: water soluble vitamins and fat soluble vitamins. Both types of vitamins are essential food good health and can be sourced through a healthy diet full of fruits, vegetables, lean meats, whole grains, dairy, and healthy fats. Fat soluble vitamins are vitamins that can be stored in the body for a longer period because they are kept in the body's fat and liver. This means, unlike water soluble vitamins, they don't need to be consumed every day. Fat soluble vitamins include vitamin A, D, E, and K.
The active form of vitamin A is known as retinal and the body utilized it for vision, immunity, cell growth, and reproduction. Common dietary vitamin A are forms are retinol and beta-carotene which then are converted to retinal in the body. 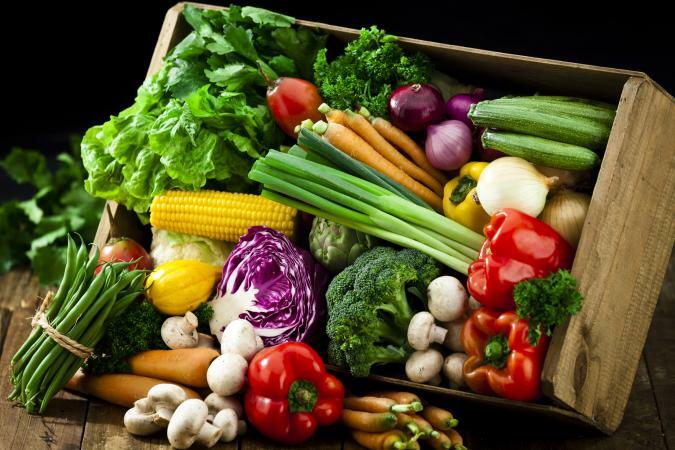 Vitamin A is found in animal liver, fish oils, milk, eggs, leafy greens, and orange and yellow vegetables. Vitamin E is a family of substances called tocopherols and tocotrienols that act as antioxidants, promote healthy skin, boost immunity, and play a role in blood clotting. High concentrations of vitamin E can be found in vegetable oils, almonds, hazelnuts, peanut butter, sunflower seeds, spinach, broccoli, and fortified foods like cereals. This fat soluble vitamin is sparsely found in foods. Instead, most vitamin D is absorbed from the sun. In the body, vitamin D is first converted to calcidiol and is then processed again to create calcitriol. Vitamin D aids in bone growth, calcium absorption, development, and immunity. Although most vitamin D comes from the sun, it can be sourced from the flesh of salmon, tuna, or mackerel, liver, egg yolks, and some cheeses. Vitamin K exists in two forms known as K1 (phylloquinone) and K2 (menaquinones). Vitamin K assists in blood clotting and bone development. Vitamin K1 is the more common form of vitamin K and is prominent in leafy green vegetables. Vitamin K2 is a bacterial form of vitamin K and can be found in fermented foods and some animal proteins. As with any nutrient the recommended daily allowances (RDA) of fat soluble vitamins vary. Below are the RDAs for people 19 years old and up. The RDAS for some fat soluble vitamins require special attention. For example, the Vitamin A RDA is measured in retinol activity equivalents (RAE), which accounts for retinol and beta-carotene bioactivity. For women, 700mcg RAE is equivalent 2,333 IU retinal, 4,666 IU beta-carotene from supplements, or 14,000 IU beta-carotene from food. In men, 900mcg RAE equals 3,000 IU retinal, 6,000 IU beta-carotene from supplements, or 18,000 IU beta-carotene from food. Additionally, the Vitamin D RDA increases to 20 mcg due to decreased absorption for individuals over 70 years old. Fat soluble vitamins are the vitamins A, D, E, and K. These nutrients are consumed through dietary sources, supplements, and sunlight for vitamin D. This category of vitamins is stored by the body so daily consumption isn't necessary, but ample stores help the body function properly.